The holiday period was naturally a bit of a bear (pun not intended) for the Slumbering Ursine Dunes production crew. 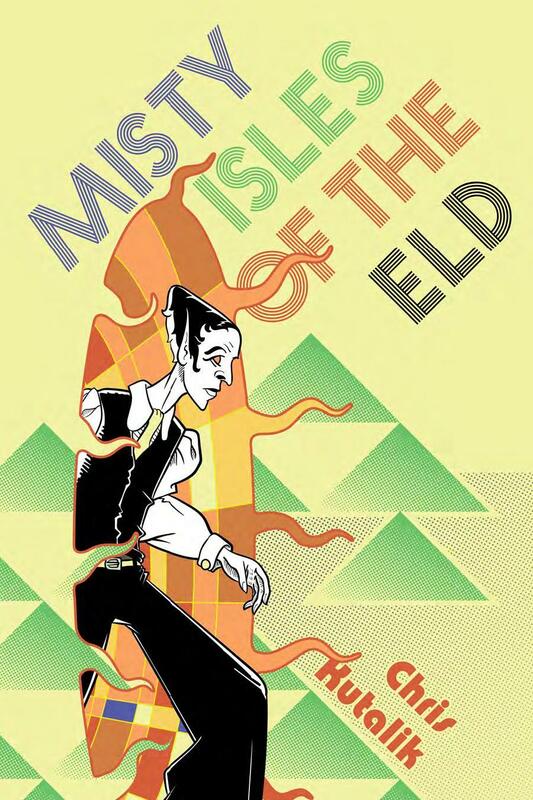 While we got the main adventure out before deadline for the PDF and just on deadline for the print, I spent an ungodly amount of time troubleshooting Print-on-Demand issues with Lulu and DriveThru. Which all leads up to the actual point of this post. Each adventure is developing a highly-distinct look with a single artist devoted to each. I've found myself getting caught in a “dialectic” in which I see these magnificent pieces and get inspired to do more writing—Luka's illustrations spawning several new additions to my weighty bestiary section in the Misty Isles already. 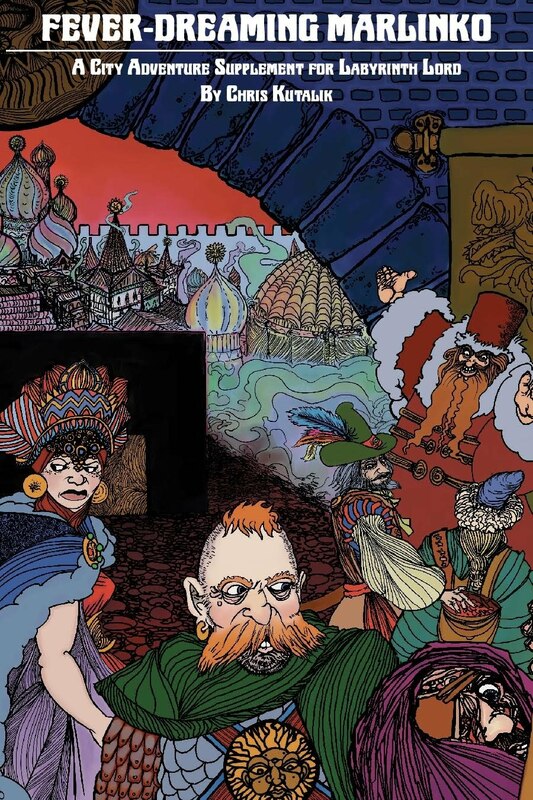 Similarly seeing some finished work by Jeremy Duncan (who as a player in the campaign made a number of character sketches that will forever be what I see in my mind's eye) for Marlinko. 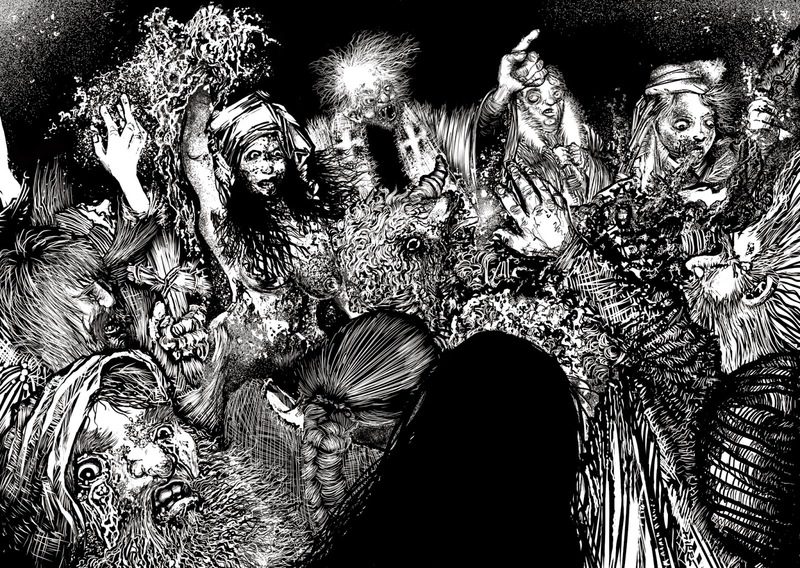 This grotty piece shows the sparagmos rite in the catacombs of the bizarre alien cult Church of the Blood Jesus. So lovely. One thing I have greatly appreciated from the Slumbering Ursine Dunes project has been the chance to grow as a writer. Nothing helps more than honest critical assessment and fortunately I've been receiving much to think about how to up my game from thoughtful participants in our milieu. Brendan S for one in his thoughtful review raises some challenges about how to present adventures for better use in the heat, smoke and noise of the table. We've been talking a good deal about that at the Hydra meetings and we are trying to rise to that challenge. 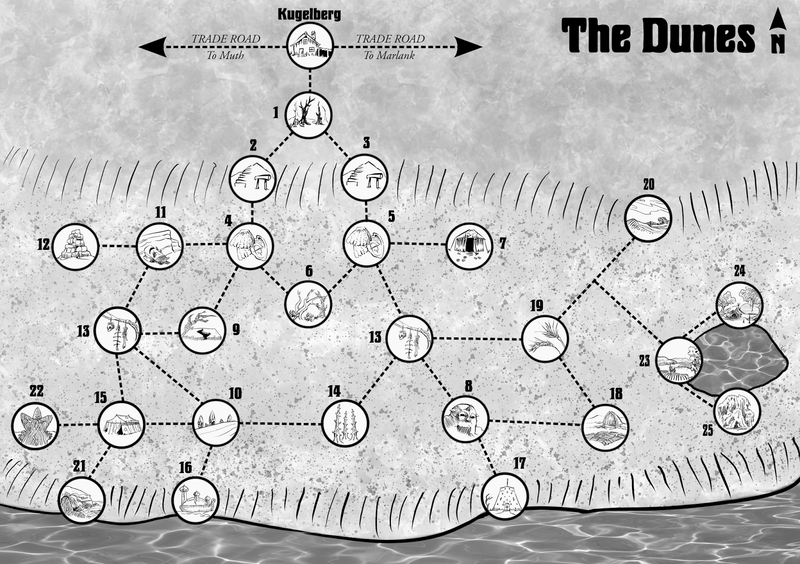 The first and easiest step is providing a full-size download of the cramped A5-size pointcrawl map (and this may have broader interest to folks who haven't bought the mini-sandbox). You can find a letter-sized PDF as a download right here. We are also producing a "dungeon pamphlet" as a separate download that will organize the whole adventure into its gameable at-the-table elements. That piece will go out to backers for free. 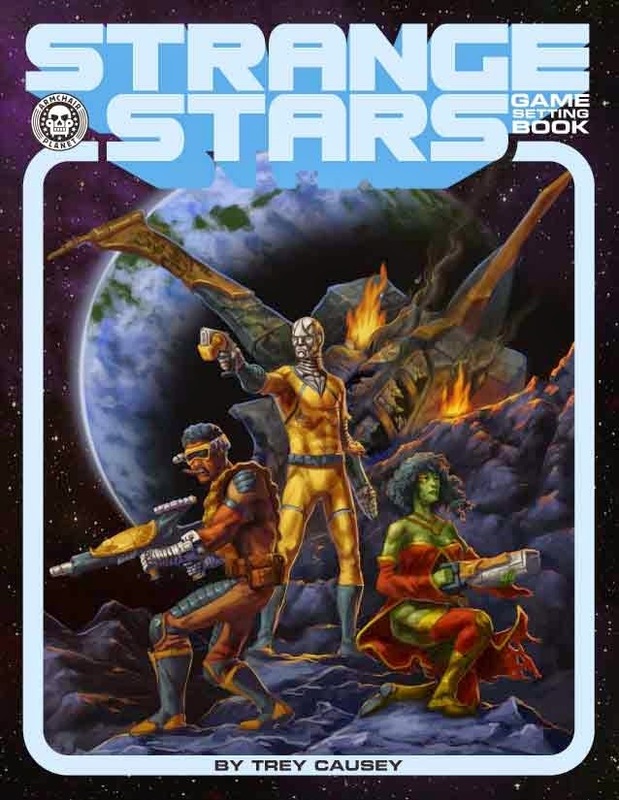 Resplendent in its Star Frontiers-homage, full color cover, Trey Causey's Strange Stars setting book has finally hit the virtual stands both in PDF and print form. Having watched this product grow from a wee germinal of an idea--and had any number of rambling, tangential conversations with Trey along the way--I feel entirely to close to give the book a decent, critical review. (But really you should buy this thing, it's one of the best pieces to come out of the tsunami wave of DIY hobbyist products in recent months). A little more interesting is to open that conversation stream a little to a broader audience (as I did with his Weird Adventures) to hear the what and why that went into the making of SS. Hill Cantons: Let's talk Strange Stars. I will admit to being deeply fascinated watching you grow these worlds and products bit by bit from the floor level via posts on your blog, From the Sorcerer's Skull. The sepia/black and white images and little digressions that came out with Weird Adventures sucked me in and kept me pulling for you all the way to press time. Tell me about how SS came to be and how it developed on the blog. What moved you to do this and what was the process like doing it in this slow reveal-by-blog type way? Trey Causey: With doing a blog six days a week at one point (now roughly five), I spend a lot of time brainstorming/daydreaming content. I had toyed with a couple of science fictional concepts that didn’t quite take off (though I’d sort of like to return to them one day) like an alt-history pulp space and a science fantasy Greek mythology thing. 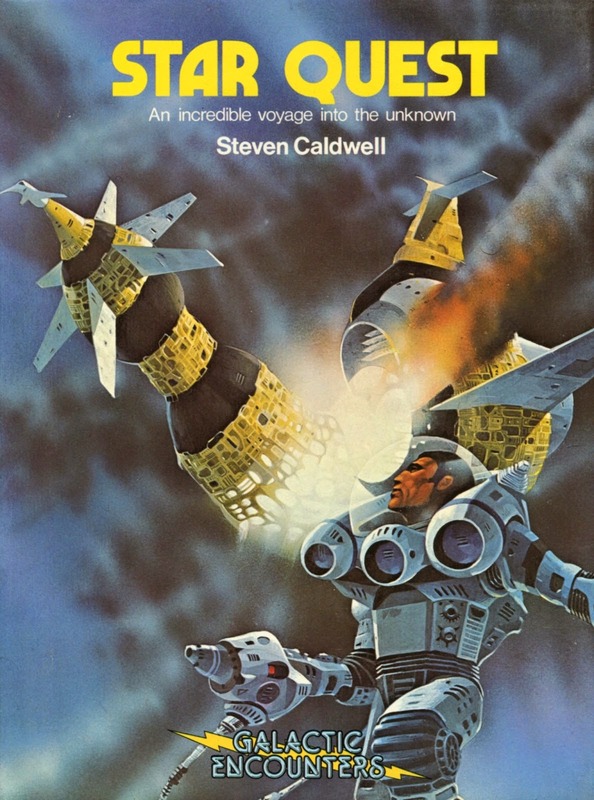 One sort of fun (I thought) but largely throwaway post I did was on Talislanta as a space opera setting. That post got some positive feedback, which always tends to prompt me to expand on an idea a bit more. As anything would that’s developed in bite-size bits over a period of a couple of years, Strange Stars sort of lurched in somewhat different directions at times. The earliest posts are trying hard to rationalize science fantasy concepts into something a little harder sci-fi. Then there came a bit of weirdness probably inspired by Prophet and revisiting old issues of Heavy Metal, and here and there, small doses of “serious” science fiction brought on by my reading Alistair Reynolds and Charles Stross. All the time though, I knew I wanted it to mix the stuff I read in modern science fiction novels with the stuff I saw in mid-60s to mid-80s sci-fi comics, films, and paperback covers. The aesthetic was always important—which is often a frustrating thing when you are not yourself an artist. HC: We've talked a good deal one on one about immersive worldbuilding and setting work as part of the DIY rpg scene--both of us seeming to fall down on being fans of those kinds of efforts. I rather like how SS hits a sweet spot balance: it's unashamedly and purely about setting/worldbuilding but it breaks info-dump down into tiny bites and leaves a lot of evocative questions off stage. How do you see SS fitting into the discussion of so-called Special Snowflake settings? TC: Looking at the stuff produced on blogs and in publications by the DIY crowd we’re both somewhat associated with, I think it’s clear people like setting stuff, despite what’s sometimes said about it in the abstract. I think the real issue isn’t “setting versus no setting” but the suggestive leanness of a pulp fiction novella versus the over-elaboration of a multi-volume, doorstop fantasy epic. The debate often framed as “setting detail versus freedom” is really something more like “inspiring setting versus constraining setting.” If I'm right, and the second issue is the real one, then there are things we can do about it. The traditional, prose heavy ways of delivering setting information are the prevailing style, not necessarily the best way to do it. I wanted to try something at least a bit different. HC: The Terran Trade Authority and Galactic Encounter books of the late 1970s were huge aesthetic influences on my young brain (as were the Star Wars fan booklets and comics). Classic Traveller was free of any illustrations for years and those books filled in the blanks. There clearly seems some linkage to those image-rich books in your inspiration stew. Can you tell me about that and the other inspiration points? TC: There is, indeed. The Galactic Encounters book, Aliens in Space, was the only one of these I read in childhood, but it made quite an impression. I bought it a few years ago and a couple of books from imitator series. I have also always been a fan of reference works for fictional worlds (particularly well-done, fan-made ones) like the Star Fleet Technical Manual, and the Starfleet Medical Reference Manual, but also more recent things like the image-heavy Dorling Kindersley Star Wars and Star Trek books. Barlowe’s Guide to Extraterrestrials is there, too. A lot of 70s comics like The Legion of Superheroes by Grell and Cockrum, and stuff by Chaykin and Starlin were on my mind, too. A lot of these things have design aesthetics that seem a bit silly at times, perhaps. Certainly they never seem “cutting edge.” That was part of the reason I liked them and wanted to draw from them. The future is never going to be exactly how we view it in the present; like the past, it’s a different country. Using outdated styles, I feel like, gets us past what’s currently cool in to something just a bit alienating—like the real future is likely to be. Also, I wanted the future to seem “lived in” and grubby, but again not the lived in and grubby of dystopian futures of the 2000s. The seventies is the point where science fiction first moved from sterile and shiny to grubby and worn, visually. HC: Layout and design wise SS is impressive for a one-man DIY outfit. What did it take to get it to that point? TC: Thanks. Mostly, I would say it took the technical acumen of Lester B. Portly. Before that, though, the conception was a long time in coming. I had been sort of trying to write something “Strange Stars” since late 2013, but it just wasn’t flowing. Sometime in early 2014, I got the idea to do a whole setting book in pictures. I’m sure it wasn’t from nowhere; there was probably some discussion on G+ or something that inspired it. Anyway, this panel in Prophet was the first thing I thought of. I realized, of course, I wasn’t going to be able to afford enough art to do a whole setting book like that, so I looked to the Dorling Kindersley books as the primary model. I put sample pages from several of those, and sample pages from some pages from comic books like DC Secret Files and Handbook of the Marvel Universe and started talking to Lester. His initial thought was that what I wanted was too expensive, but was willing to provide his help to paring it down. Once we had a vague idea of the basic template (which Lester would keep refining as we went on), I picked out the fonts I wanted and made a style guide. Before the design was finalized, I already had the artist working on the images. 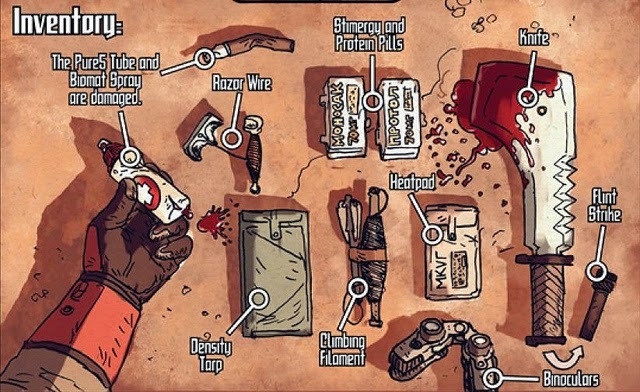 The first few pages (the Vokun and Alliance spreads) were the hardest, but after that we pretty much had it down. HC: You have some mechanically-minded supplements coming up the pike that will translate SS into something that can be run straight out of the box. Tell me about those. TC: I knew from early on that I wanted to do implementations of the setting in multiple systems. John Till of Fate SF stepped up and offered his services to do the Fate supplement, and he’s been putting a lot of work into it. I think Fate fans will be pleased. I’m compiling and rounding out the Stars Without Number based stats that I used with most of the blog posts in the setting, plus adding some random generators for orbital habitats, adventures, and the like. 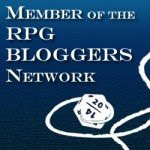 I got an email the other day from a guy wanting to do a Traveller supplement; I would love to see that and anything else that gets somebody fired up enough to do it. HC:So what's next? What other projects have you been mulling? TC: So many possibilities, so little time! I’ve got science fiction/science fantasy jones at the moment. I’d like to compile my Baroque Space (space travel in a solar system governed by alchemical science) posts and maybe go back and do the same with Gods, Demigods & Strangeness (the Greek myth thing I mentioned). The past couple of days, I’ve been contemplating a Heavy Metal –style psychedelic space opera universe design kit. I would love if Strange Stars was so successful that I was able to do a deluxe edition with pages and more art. Of course, there’s my Baum/Dunsany/Adventure Time Land of Azurth campaign—and the Weird Adventures Companion that I want to get out before I die. That’s about all the dreaming for this month.